Ellon Foodbank has secured a permanent home. A north-east foodbank has secured a permanent home, ensuring it can continue to help some of the region’s most vulnerable people. Ellon Foodbank will now be based inside the town’s baptist church, which was formerly the Ythan Centre. The Trussell Trust-backed initiative was set up five years ago and is run by 18 volunteers two days a week. 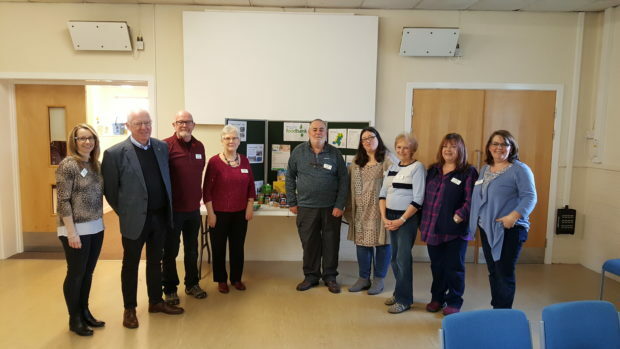 The centre is part of the wider Aberdeenshire North Foodbank, which distributed 1,666 food parcels last year – helping the equivalent of 2,350 adults and 1,136 children in that time. Until now the charity, which is linked to the church, did not have a fixed base and had to move around the town. Now volunteers say they have security and can continue to support locals as long as their service is necessary. Last year the number of users increased by 12% when compared with the previous year. Pamela Butchart, who helps distribute the parcels, claims demand has increased year on year and shows no sign of waning in the face of the UK Government’s roll-out of Universal Credit. “We have now got some stability,” the coordinator said. “The number of users has increased year-on-year for various reasons – zero hour contracts is a big one, not everyone that uses us is unemployed. “More and more people are coming to us because they can’t make ends meet. “Universal Credit has definitely increased demand, the number of users has increased by about a third since that was introduced. The Ythan Centre became vacant in February 2016 but was passed to the baptist church in December for a period of five years through a community asset transfer. The type of people passing through its doors in the future will probably vary in age and circumstances. The charity is always on the lookout for donations of non-perishable tinned food, dried pasta, long life milk, toiletries and pet food. The foodbank is open Mondays and Fridays between 10am and noon.